Assignment: Develop content strategy, web content, mobile content, meta data and meta descriptions, and content maintenance in Cq5. 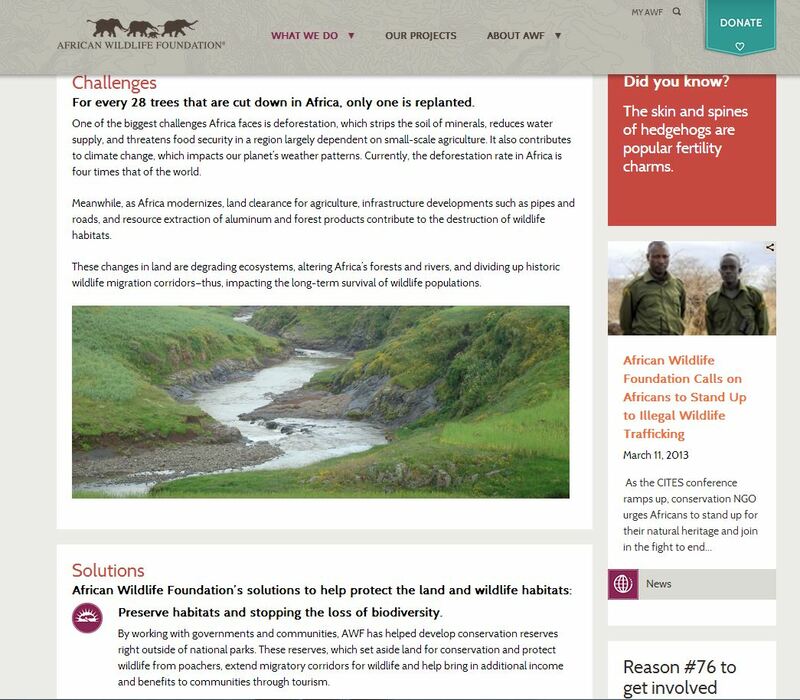 Assignment: Research, develop content strategy, and write web content. 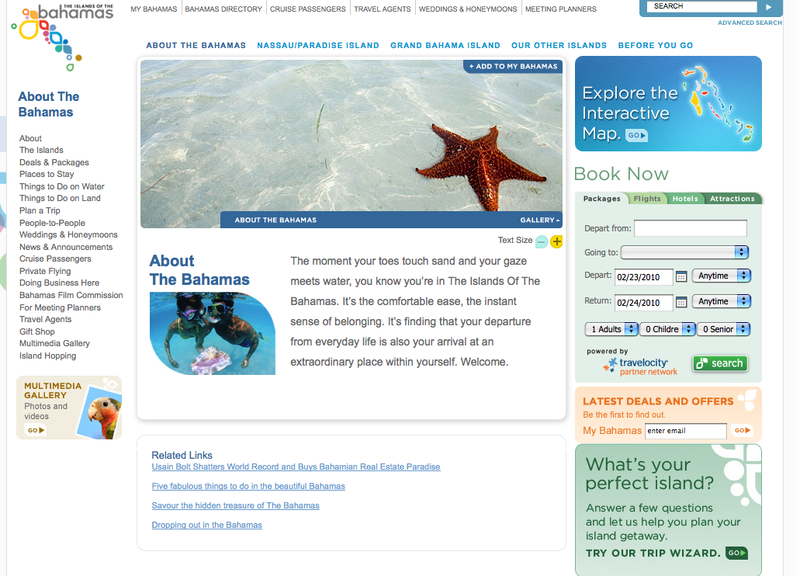 ASSIGNMENT: Create an overall better user experience on Bahamas.com by rewriting web content (100+ pages), redesigning home page, performing a content migration, handling content maintenance, developing promotional contest microsites, and creating tools like the Trip Wizard. 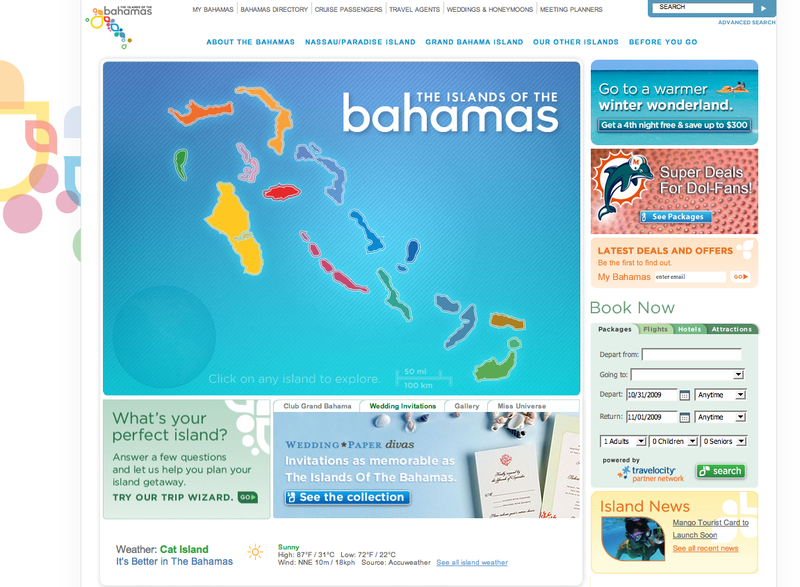 Map area continues flash intro of The Bahamas logo morphing into the islands. At the end of the flash intro, users can see a map of the islands. 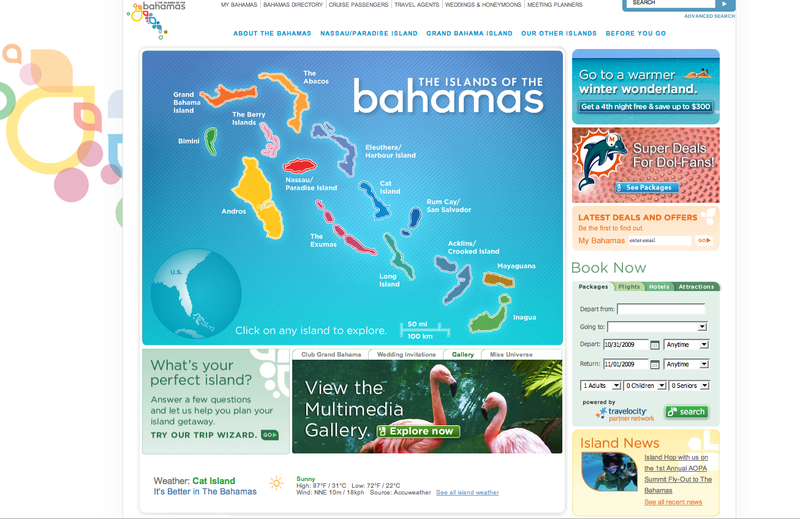 They can roll over any island and watch a video or go directly to that island’s section to learn more. Example of one of the many pages I wrote. 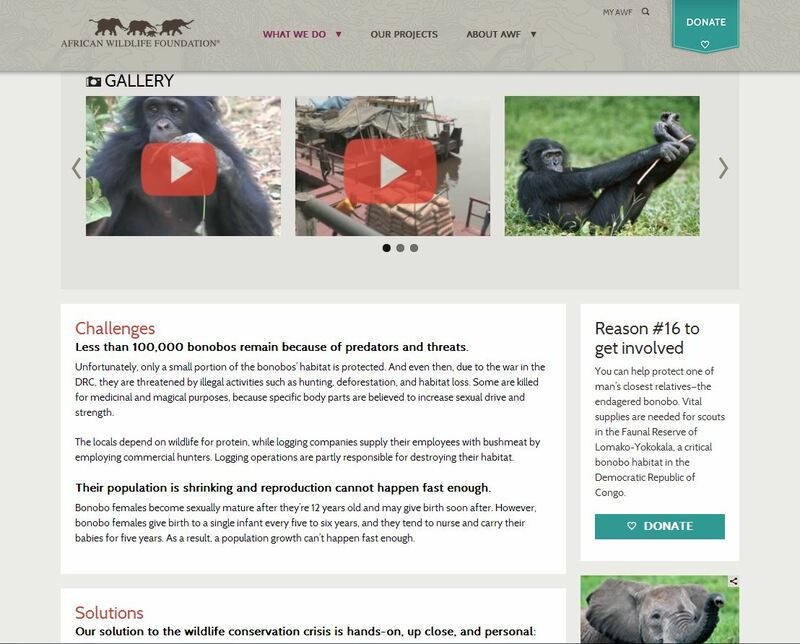 Written stories or videos could be submitted. 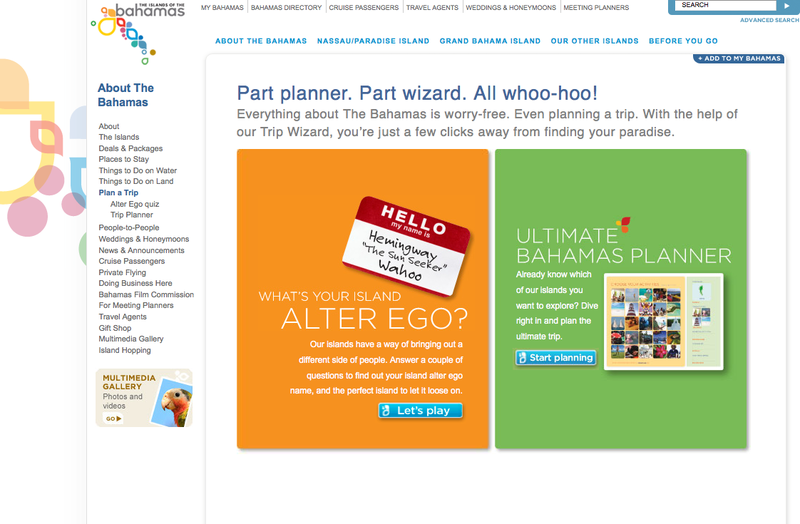 The Trip Wizard was created to help visitors plan the perfect trip. 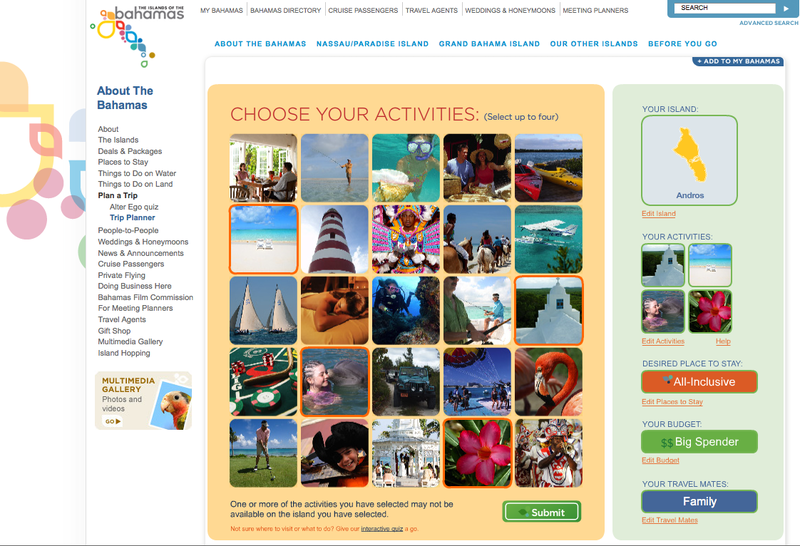 The interactive quiz matches users’ personalities up against the personalities of the islands, so they could find their perfect island. 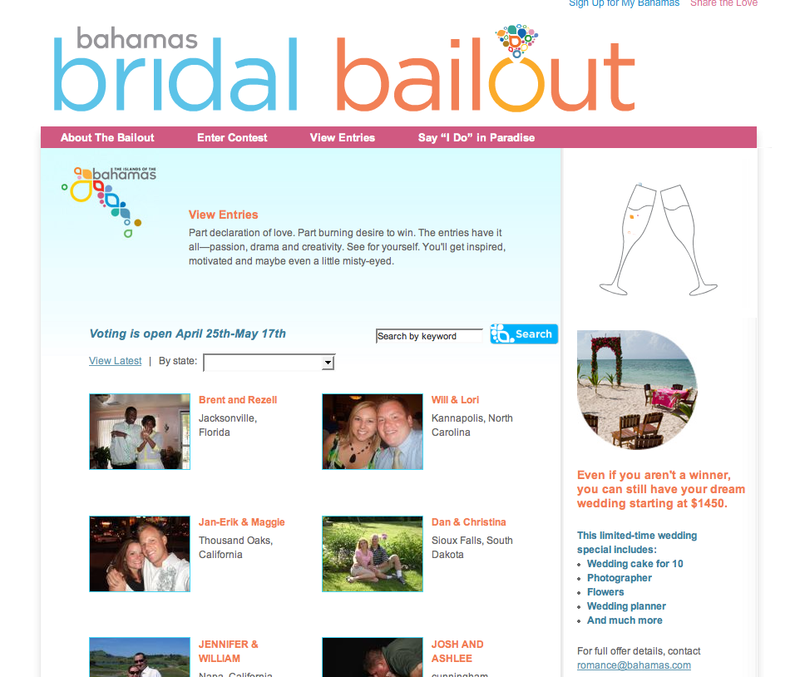 For users who were already familiar with The Bahamas, we created a planner that was more direct. 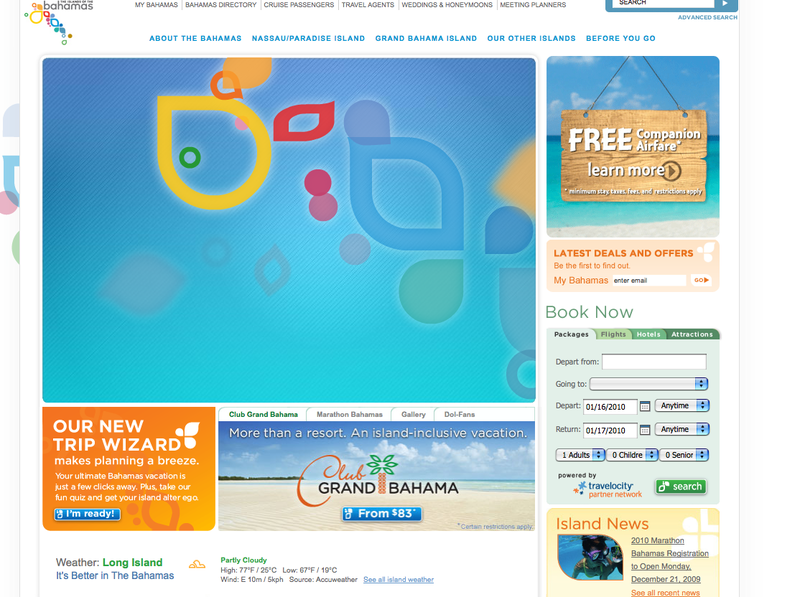 This rich media banner plays with The Bahamas logo by morphing colorful fish into the logo. 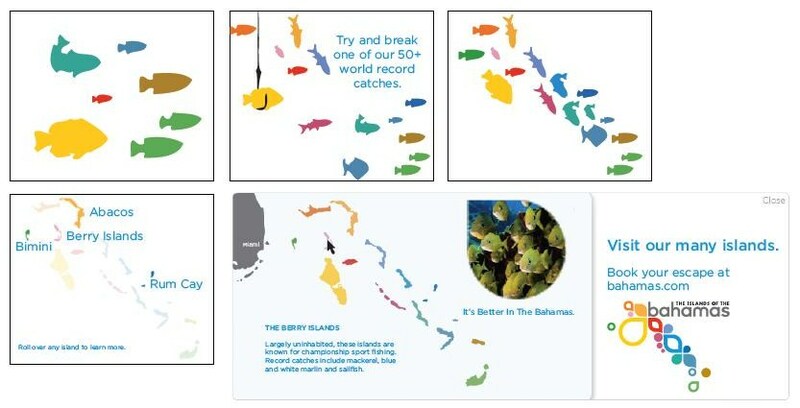 Users can also roll over islands to learn more about fishing on that particular island. 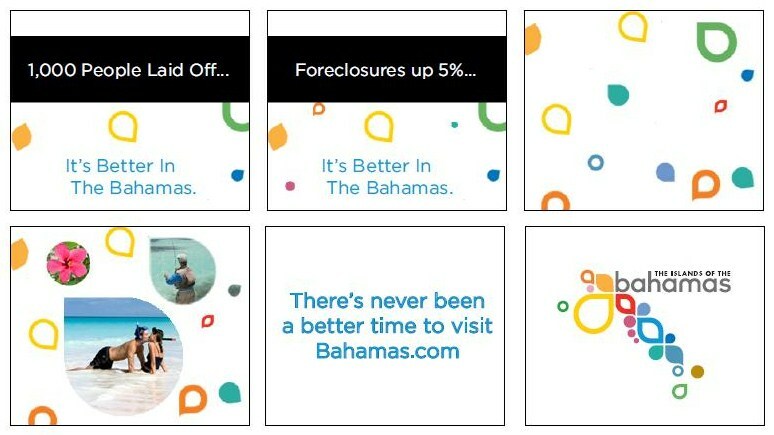 The Bahamas tagline is “It’s Better In The Bahamas” and to prove why this true we used RSS feeds based on the recession, the financial crisis and other negative news. 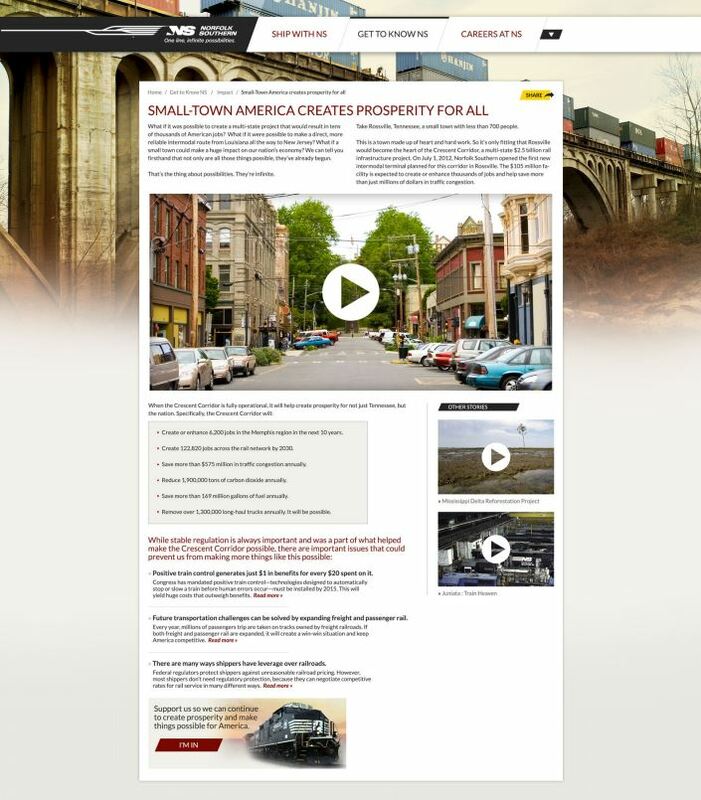 ASSIGNMENT: Create and launch their social media presence on Facebook and Twitter to help Amtrak engage their fans. 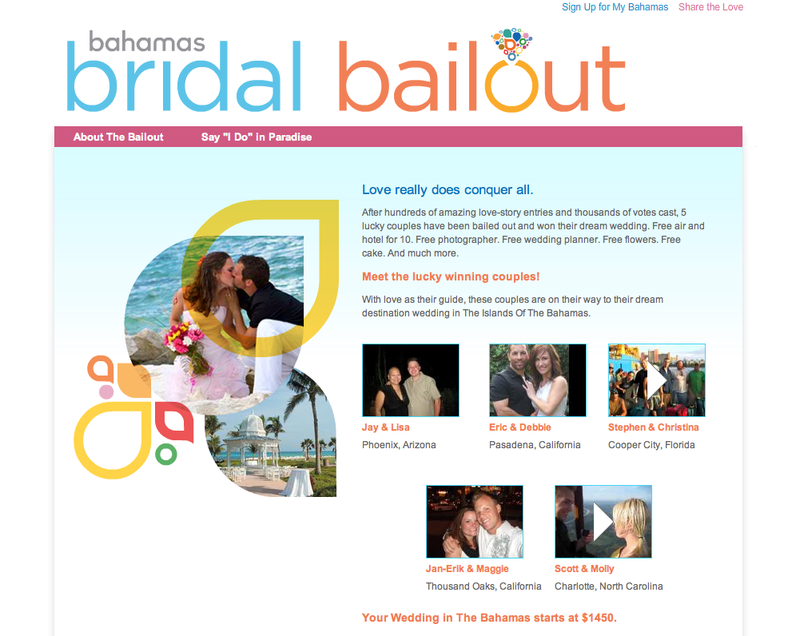 Worked on their new Facebook fan page, Facebook posts, and Twitter page including bio and tweets. 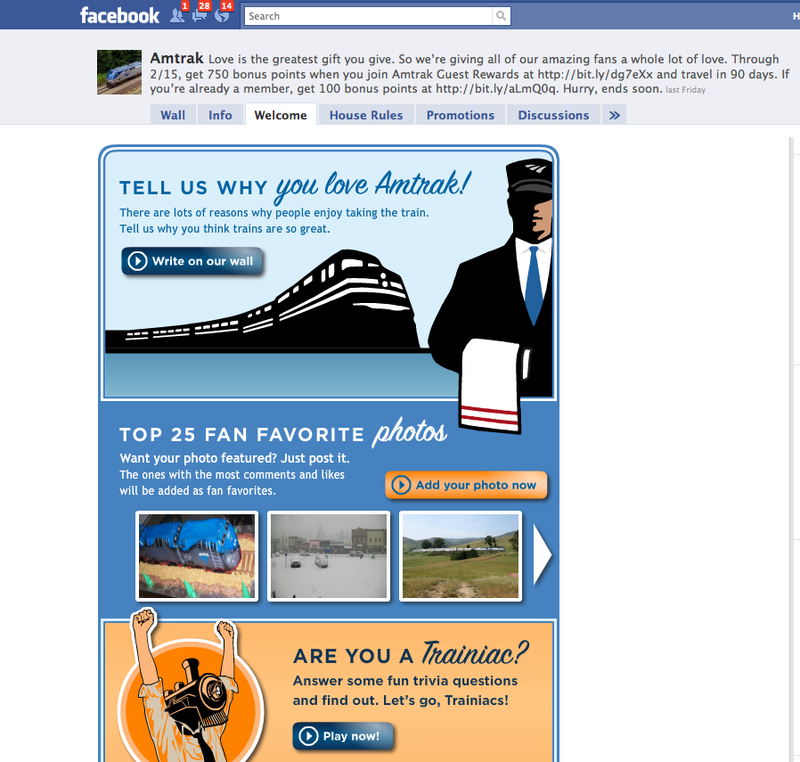 Helped create the Amtrak fan page to better engage new fans and get them to interact with all the sections of the fan page. 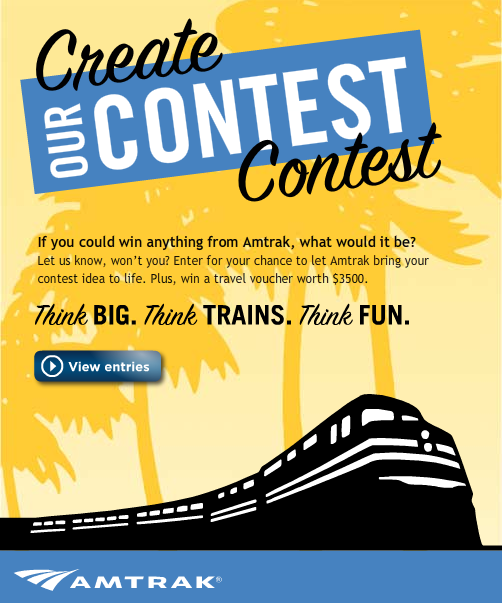 A crowdsourcing contest where fans created Amtrak’s next big contest. 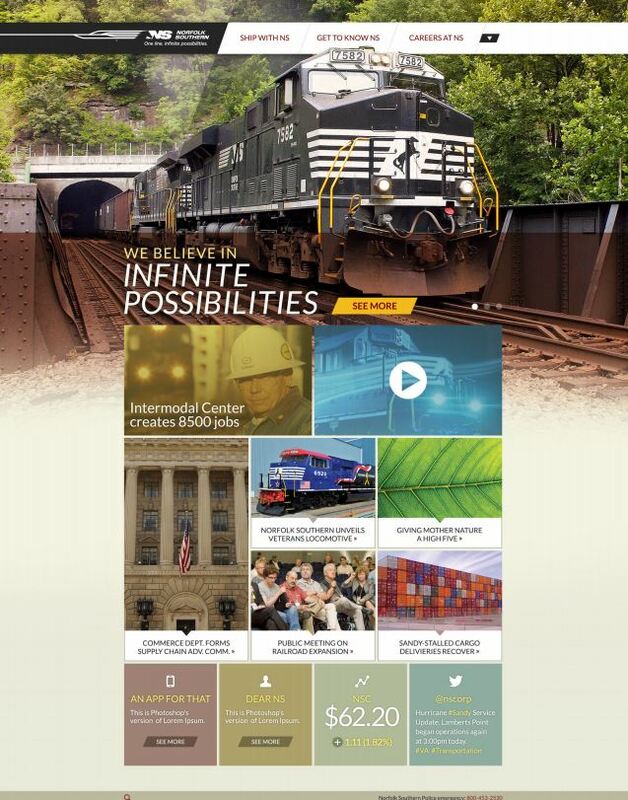 In addition to Amtrak’s social media efforts, I’ve worked on an employee microsite for National Train Day and other digital efforts. 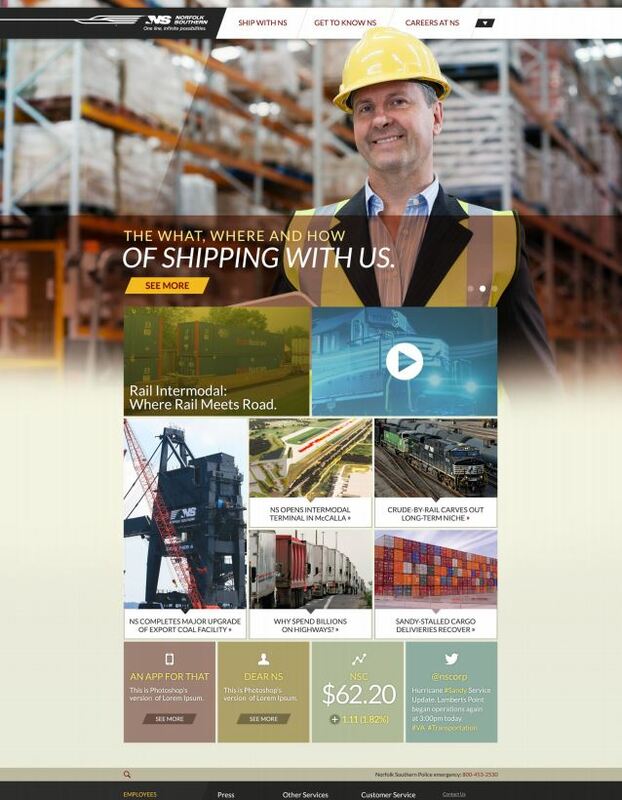 The National Train Day campaign featured this incredible artwork with many wonderful details and we wanted to let users play with the artwork. So we created a seek and find complete with magnifying glass. Users had the ability to create their own personalized avatar and could have their character inserted into the artwork. Once the avatar is placed into the artwork, users could play with the artwork and see if they can find themselves. They could also have their friends search for them and add their friends to the artwork, too. ASSIGNMENT: Raise awareness that McDonald’s is now open midnight or later. To give bboybattle a try, click here to demo. Bboybattle.com Homepage. Users needed to pick a bboy or bgirl. The navigation consisted of the rules, shout outs (tell a friend), review moves and I’m hungry (McDonald’s locations). Users could choose a warm up session or go straight to battle. I assisted in stylizing the characters and selecting their ethnicity. I was very happy we were able to feature an Asian-American bgirl. Upbeat bboy-style music played as users used #1-9 to do different breakdancing moves. We also created secret combo moves. 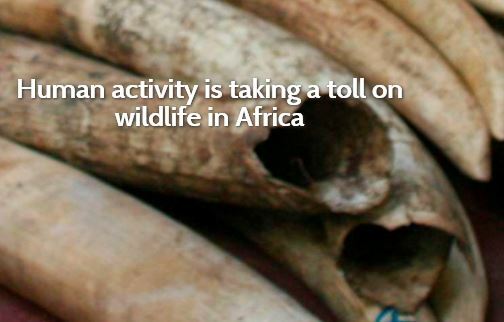 To post final scores, users needed to register. Users had the opportunity to battle friends. PROJECT: Promote Revolutionary City, a new live event that focused on America’s independence from Great Britain and King George. The Colonial Williamsburg Loyalist homepage features King George, the tyrant. 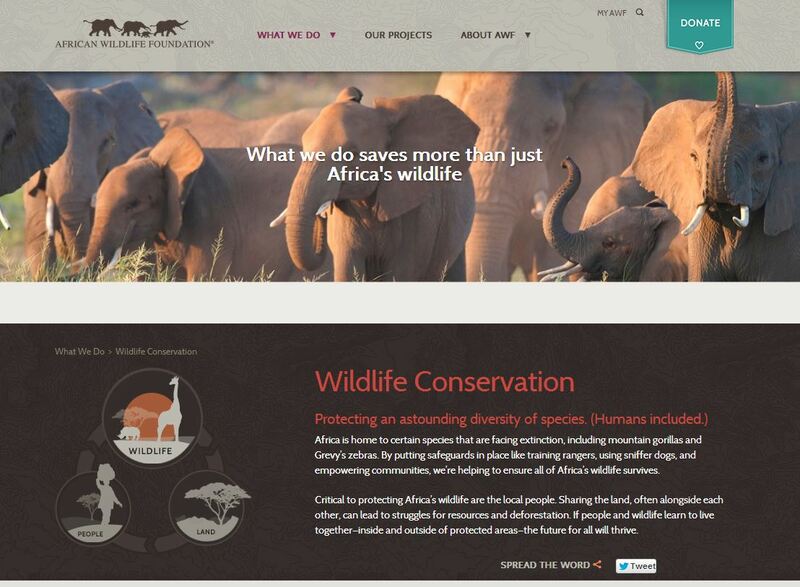 King George asks users to sign an oath pledging their support to the royal crown. Users could also listen to the King give a speech as well as learn more about Revolutionary City. 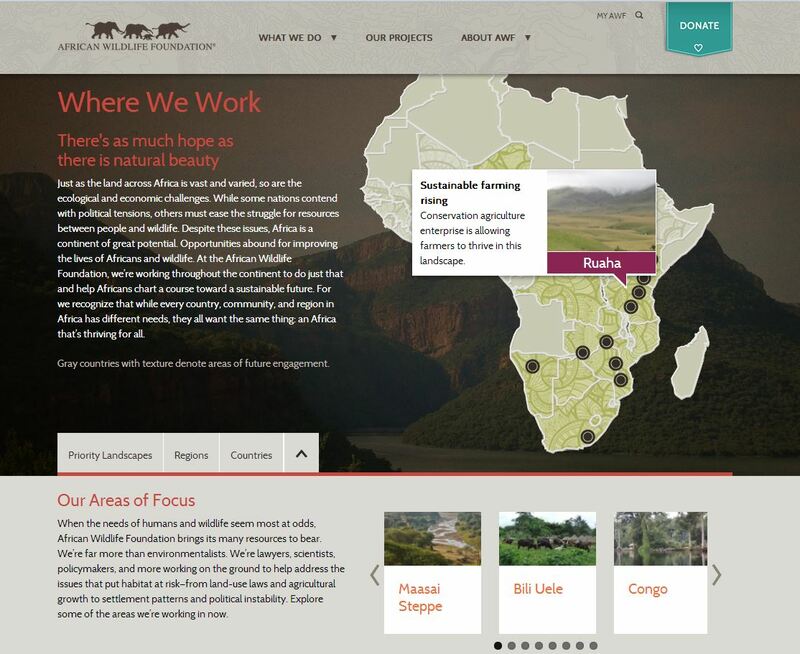 Users could learn more about Revolutionary City by watching a slide show or interacting with a timeline. And we also gave users the opportunity to buy tickets in advance. The Colonial Williamsburg Patriots Homepage has a countdown, an urgent message from a Patriot to join their cause, and we also showed how many have joined. Users could learn more about the struggles of patriots like Thomas Jefferson by scrolling through the timeline. Patriots web banners featured video with rebellion messages from patriots that requested users to join the cause and march to the capital to bring down the crown. Messages from King George and the loyalists appeared on bus shelters. The posters featured their URL, loyalist.org. A few days later, we tagged over them with messages like “Question Monarchy” from the Patriots and also their URL, jointherebellion.org. We also tagged news stands with the Patriots “Question Monarchy” message and URL. Taxi tops with the Patriots’ message tagged over the Loyalists’ message. PROJECT: More and more people are getting their news through status updates–which isn’t as thorough as a news site. Show people the importance of being well-informed with the news, so they can actually hold a real conversation. Endsquirm lets users see if they can hold a conversation. 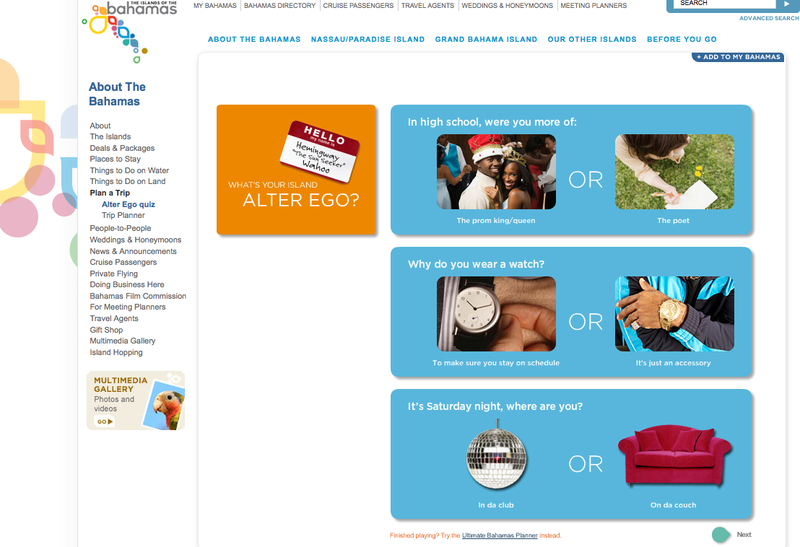 Based on answers, the squirmometer moves and auto-generated responses via the character are given. If users asks poor questions, they will not be able to hold a conversation. When a poor question is asked, the conversation will end. Users will be asked to read USAToday.com so they have stuff to talk about. If you or anyone you know has any interest in hearing about some creative job opportunities, please send me an email with some contact info so I can give you a full description. Thanks! Bizarre, yet tasteful- definitely eclectic. There is an international ambiance.